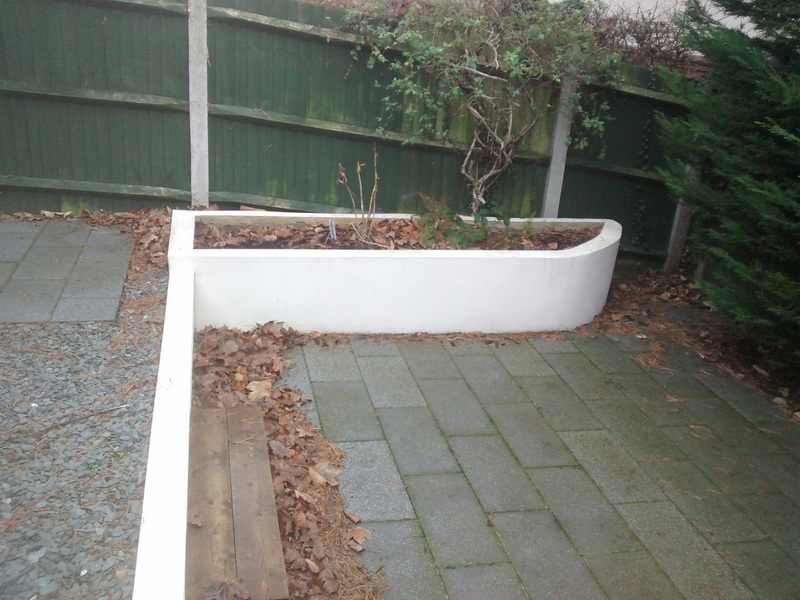 This large concrete planter in a Maidstone back garden wasn't doing anything to enhance the owner's enjoyment of the space. Features such as these are not to everyone's taste but rather than ignore or remove them an injection of new life can unlock their full potential to complement a garden not dominate it. The weeds and unwanted material were removed and the soil level raised and enriched before a weed-suppressing membrane was put down. Box hedge balls were then planted through the membrane and white spar chippings placed over the top. 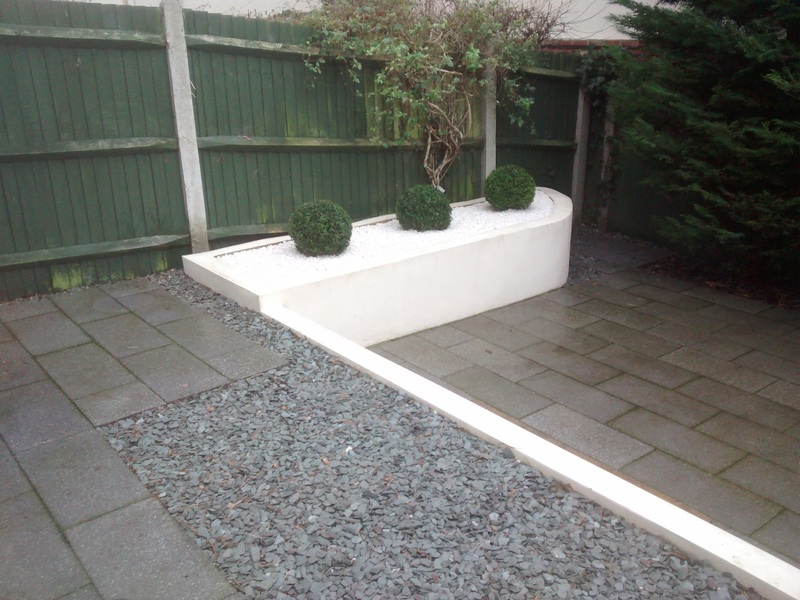 The rest of the area was cleaned up and the result is an instantly striking low maintenance solution and a vast improvement on the original.